One of the unexpected benefits of starting weeSpring: we’re almost always among the first to know when a friend is expecting. The order generally goes something like this: spouse, doctor, us. 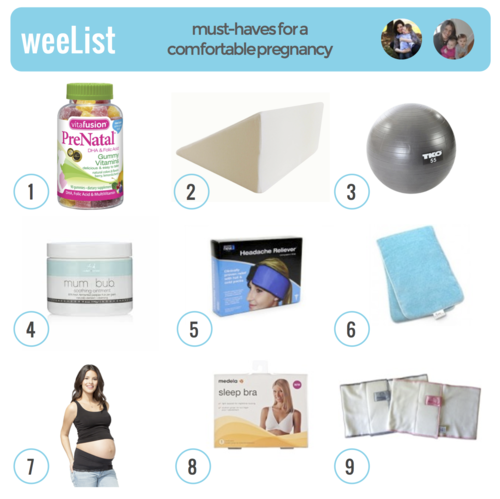 What are the must-haves for a comfortable pregnancy? 1. 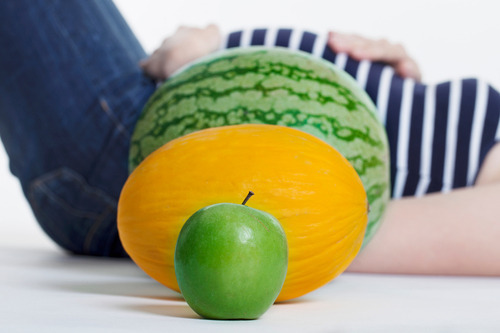 Vitafusion Prenatal Gummies: Delicious, have DHA, and don’t cause tummy-trouble. Only problem: just having two a day. 2. Wedge Bed Pillow: Only way to sleep with reflux! And a definite must if you (like us) find yourself on bedrest. 4. Great skin cream: Pregnancy does a number on your skin (and not just your belly). We were always dry and itchy, and just discovered the awesomeness of mum+bub recently. 6. A microwavable heating pad: Nuke this for 3 minutes and it’ll stay warm for 30… plus, it’s moist heat, which is the best for a sore back. 7. BellaBands: Melissa went straight to pants with a built-in band, but Ally’s reaction to BellaBands were, “where have you been all my life?” You can walk around with your pants unbuttoned and unzipped, and no one is the wiser. 8. Sleeping Bra: This is marketed for nursing, but great for late pregnancy when you’re super sensitive and sore. Previous story Guest Blog: Parabens, Phthalates, Sulphates, Oh My! Big Qs: What are dads’ top 3 products? weeAsked: What do I need to babyproof?